The Clyde Beatty/Cole Brothers Circus invited me backstage when they performed at the Phillipsburg Mall. 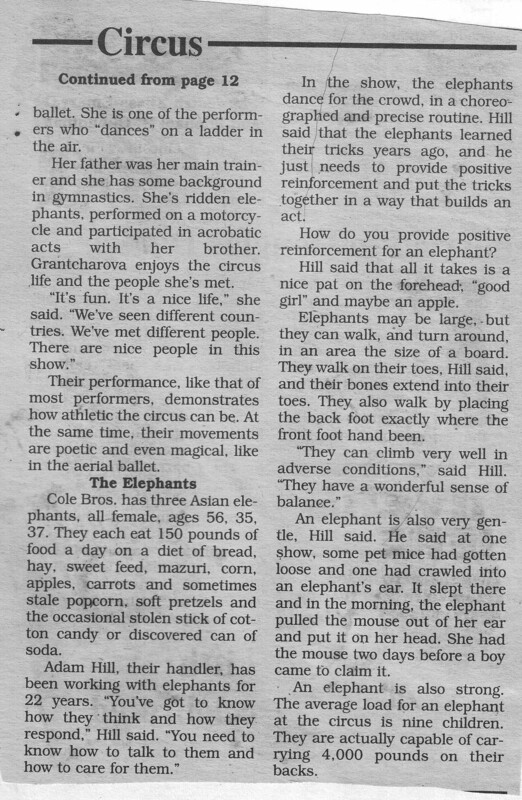 I watched the clowns prep for the performance, talked with the lion tamer, interviewed a corps of Russian Aerial Ballet artists and even fed the elephants. I loved those elephants. The man who took care of them handed me a loaf of bread, plain old sliced white bread and directed me to slap it into their mouths. I had three or four slices of bread on the palm of my hand. The elephant would lift his trunk and I would stick my hand in his mouth and press the bread to his tongue. And he ate the whole loaf. 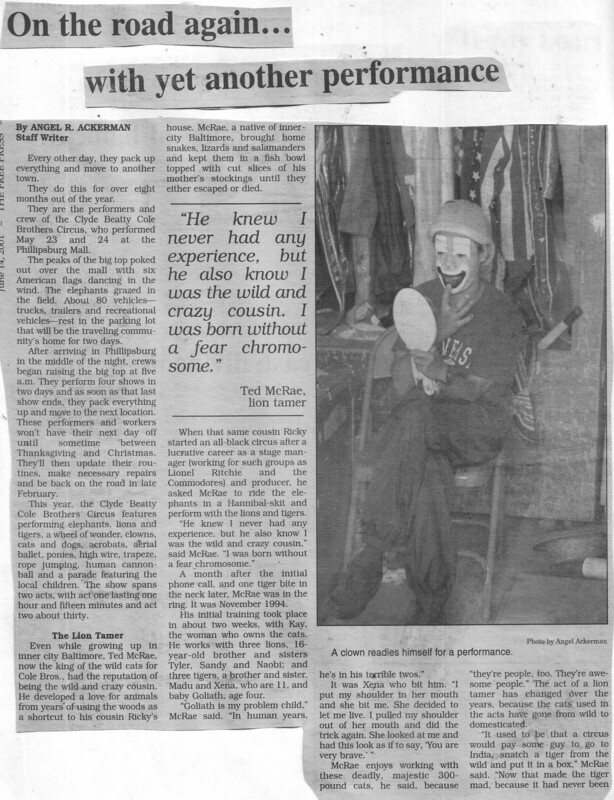 This feature appeared in the (Phillipsburg) Free Press in June 2001. I took the photos. I also photographed the show. I may have to dig those out and scan them another day.